Falcon Oil has been a leading home heating oil distributor for Northeast Pennsylvania for over 30 years. As a local provider, we understand your heating oil needs better than any other company. With convenient options like our automatic delivery program, Falcon Oil ensures that our clients never run out of oil! No matter the weather, you can depend on Falcon Oil for reliable service so you never miss a fill up. 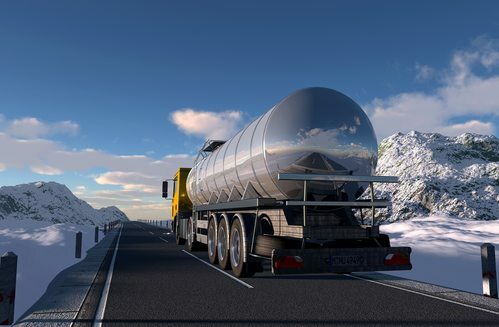 *As a result of escalating costs, Falcon Oil is implementing a policy for the next heating oil season that prior deliveries must be paid in full in order to receive future deliveries. This policy will affect automatic delivery program customers. If a budget program is implemented and payments are kept up to date, Falcon Oil will maintain uninterrupted delivery service throughout the year. Falcon Oil is proudly partnered with PICA HVAC to bring you heating, cooling and electrical installation & service. In the event of an emergency, PICA is available 24/7 to assist you. Call 570-343-5193 for more information or visit their website Here. Maintain your heating system. You should have it checked by a professional at least once a year to ensure your home heating oil is burning efficiently. Change the filters regularly. Every filter is different, read the packaging for suggested intervals. Adjust thermostats; keep it 65 degrees during the day and 55 degrees during sleeping hours or when the house is unoccupied. Replace old thermostats with programmable thermostats so you can set schedules. Open drapes and blinds on the south side of your home during sunny days, close them at night and on cloudy days. Do not block registers and hot water radiators. Place foil-covered cardboard between cast iron hot water radiators and the wall to reflect the heat into the room and away from the wall. Install storm doors and windows. The space they create makes an excellent insulator. Seal cracks and holes around windows and doors. If warm air gets out you are losing home heating oil you paid for.